Do I ever! Which makes it harder to be away for so long. 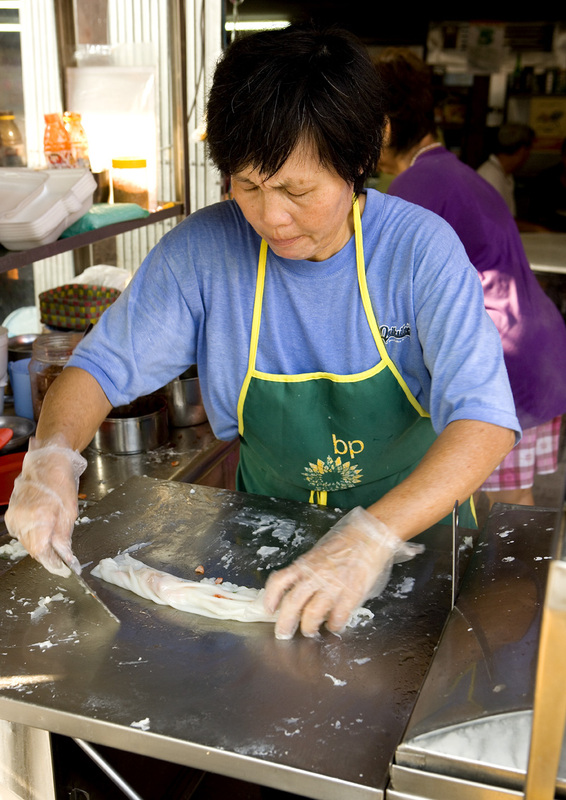 I'm dying for some really good noodles and local Msian fare....DYING I tell you! 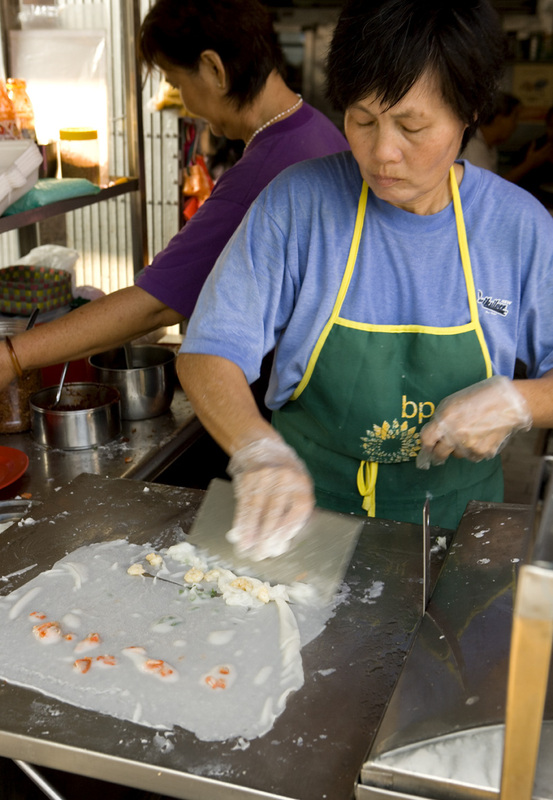 Wow, great shots of the woman making the rice dough! I've always wondered why those rice rolls are so popular; now I know. Yet another stupendous food write-up. Robyn & Dave, thanks for the wonderful food theme of Malacca and you put some of us Malaccan to shame, me for instant. 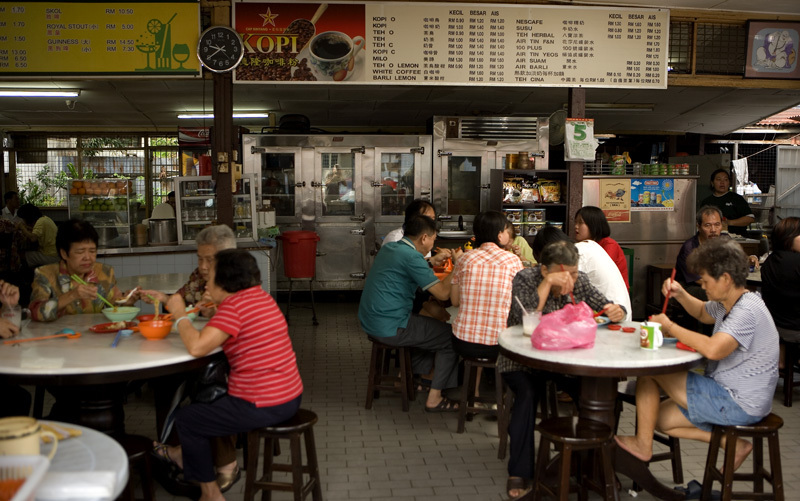 Your ability to "zero" in on all those delicious hawker's food whilst on a short trip to Malacca. 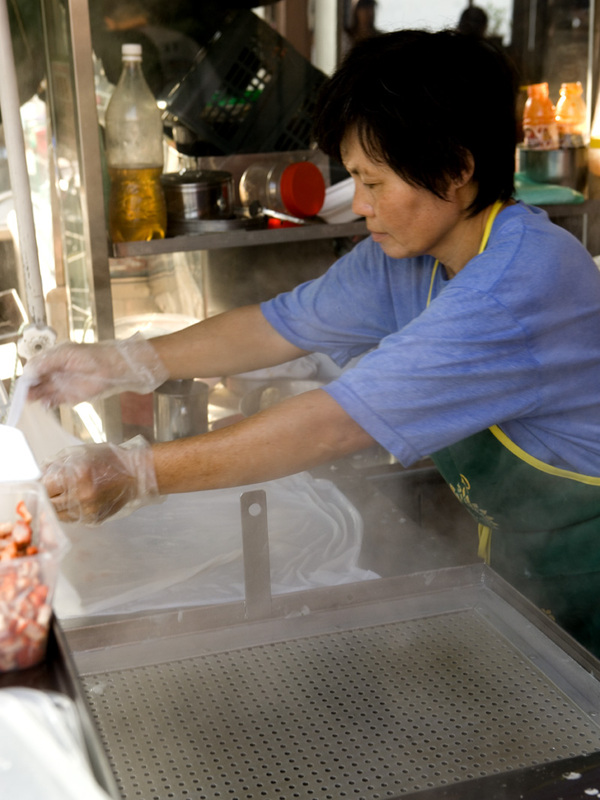 Tung Fang Food Court is definitely on my MUST eat itinerary on my next visit. Await your next blog on Malacca with anticipation. 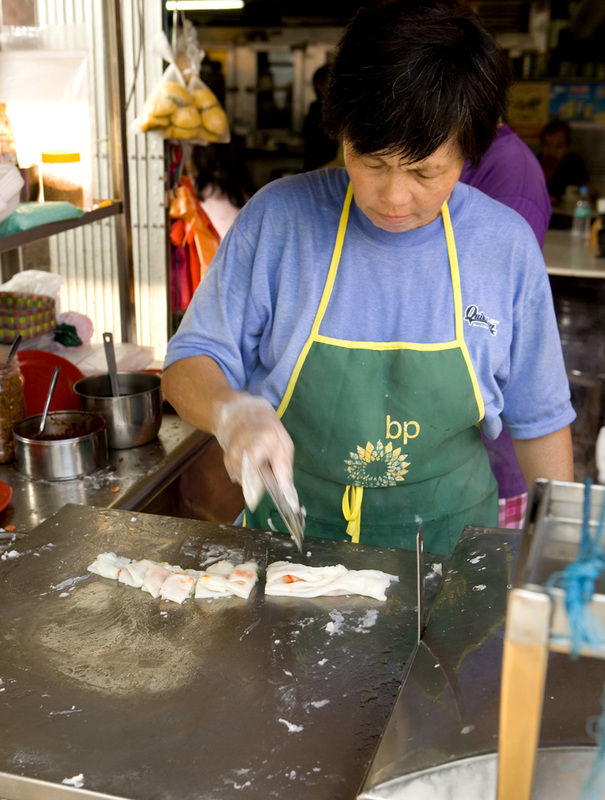 By the way Dave, terrific pictures of the chee cheong fun. You can't get fresher than that. 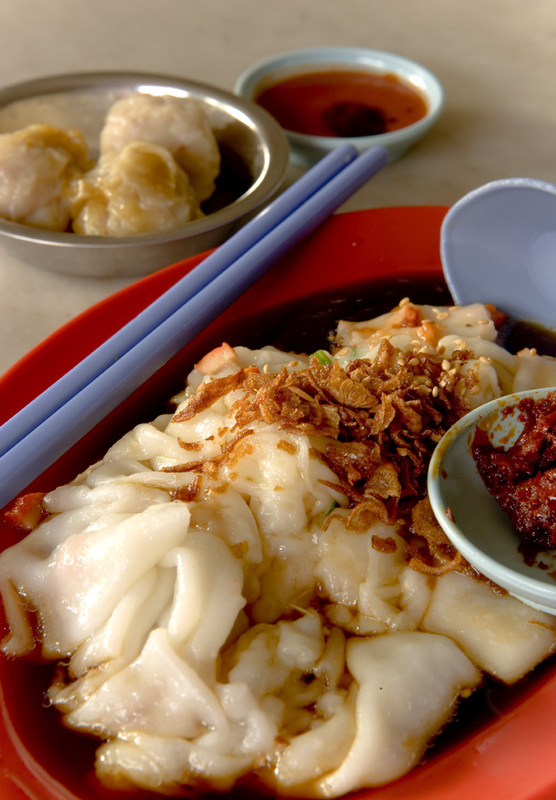 Eating club, there's nothing like freshly made chee cheong fun. But I could also say the same about a good bowl of laksa, a perfectly charred ikan bakar, a .... oh well, never mind. You get the point. 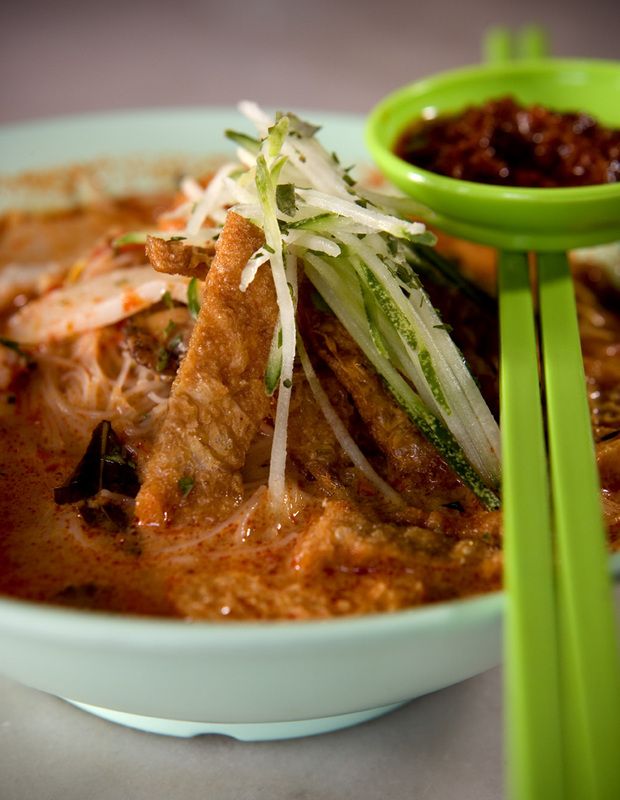 A Malaccan nyonya friend says that Malaccan laksa is Nyonya laksa, different from the version that is served in KL :). Well I guess there is the shrimp (KL takes a short cut with slices of fish cake) and shredded cucumber - she insists that the cucumber be hand shredded. First, peel the skin of the cucumber. Next, peel around the length of the cucumber such that it becomes one large flat sheet of cucumber, omitting the seeds before shredding it. That is the absolute freshest ccf I have ever seen. You're killing us! Nothing like a hot hot bowl of Laksa in the morning, I need to be back to Malaysia soon. 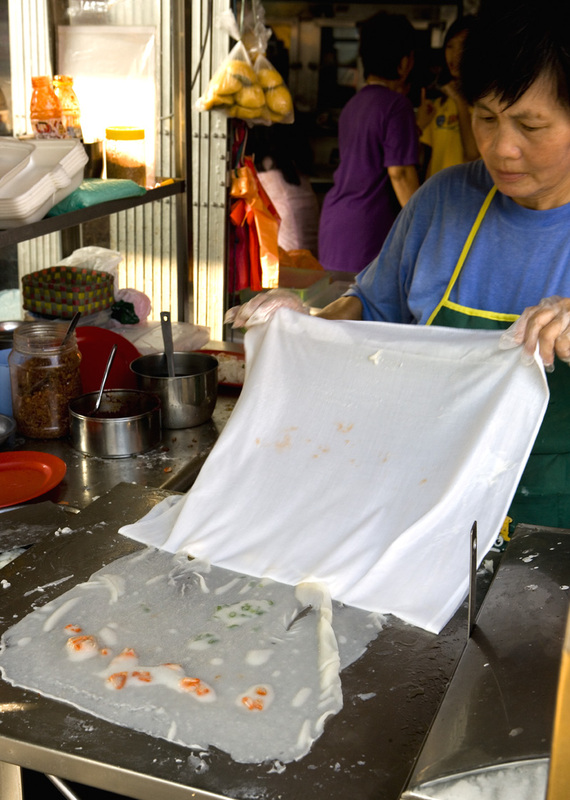 Even though it has been many years, I still remember the texture of a well made cheong fun. Not until you been away for so long that you realize how much you miss the taste of home (food). The laksa looks amazing. 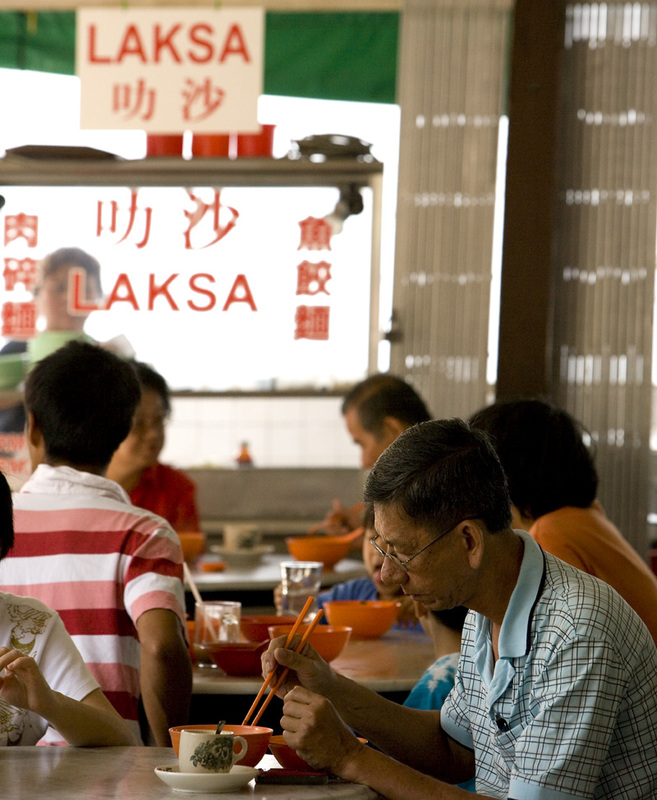 I've never had laksa, but seeing your photo reminds me that I need to make it a priority! Because we took the bus, we couldn't get to the kuih keria place (the other reason I really wanted to go to Malacca), but next time I'm in KL, I'm getting a car and driver just so I can get some of those scrumptious-looking palm sugar doughnuts!